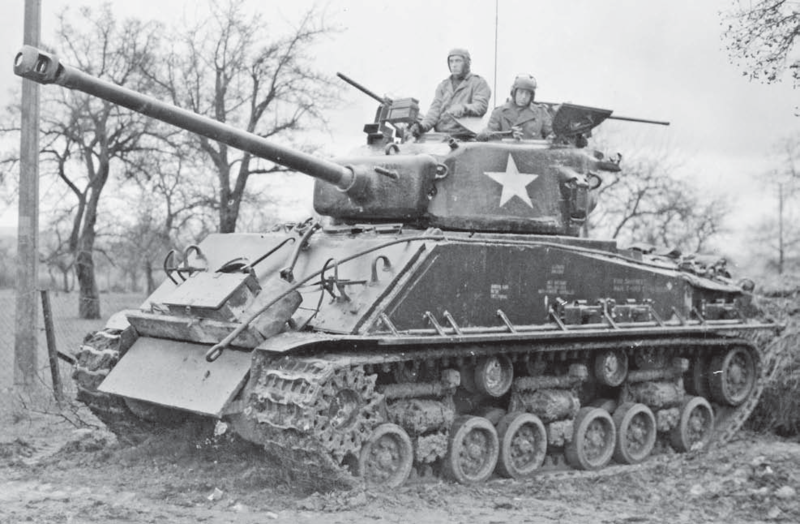 Looking for something else I found some field modifications to increase the armour on Shermans in a fairly standardised way on glacis and turret in the US Third Army. 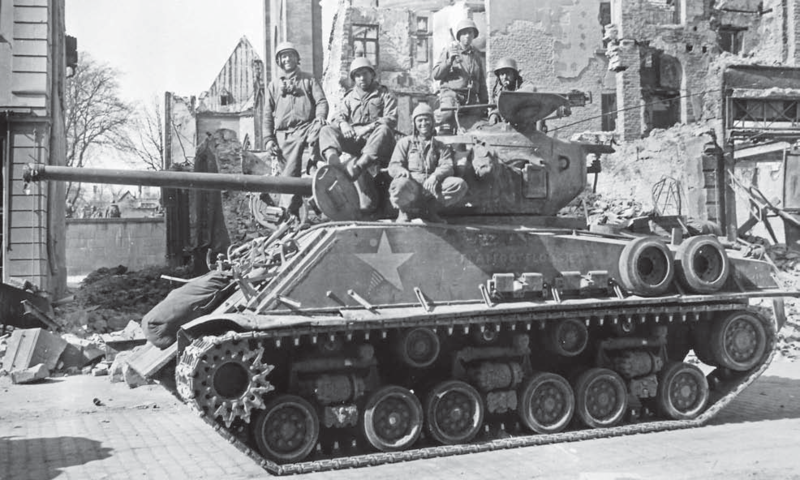 The text implies that about 36 were converted in each of the three armoured divisions by stripping armour plates from wrecked tanks. I had not come across them before. Incidentally US armour plate was preferred to German as it was stronger. Aparently the German armour late war was no longer of a high enough quality. 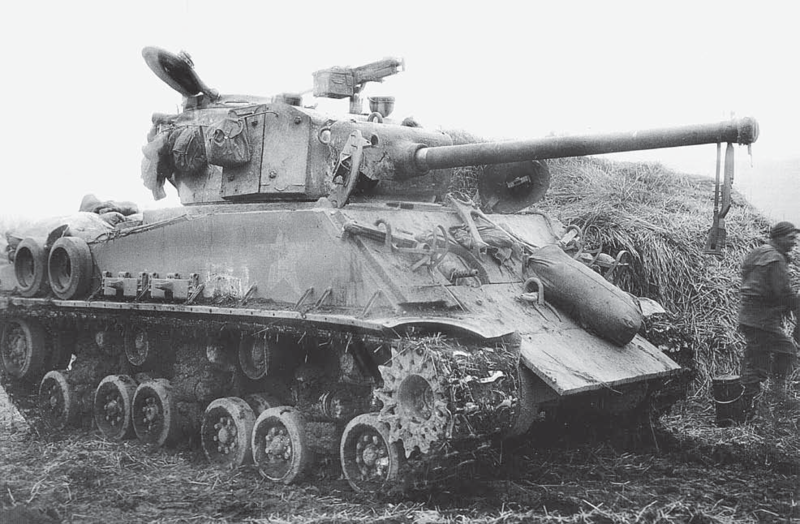 My understanding is (based on no shred of expertise at all) that Patton didn't like this sort of modification (or sandbags or lots of track pieces) at all and became a bit cross about it when he came upon it - it was a speed thing. He presumably liked his tankers quick or dead? I know little about Patton's views (actual or implied) and most of what I have read is about the Battle of the Bulge and later. 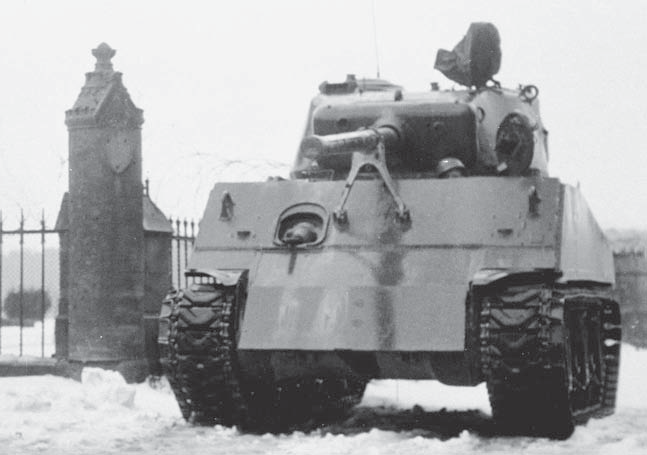 In several of the books it is mentioned that he disliked adding sandbags, track links etc because they were relatively ineffective against large calibre kinetic shot and Panzerfausts. 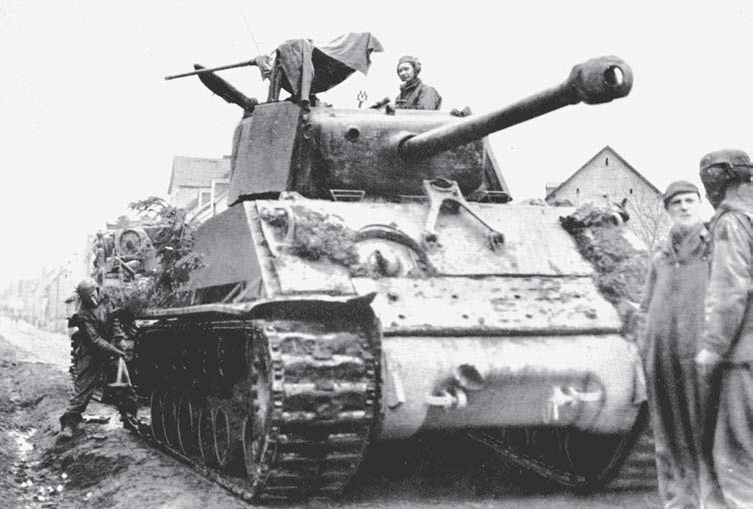 However, these uparmoured tanks had proper armour plate added and so this was an effective method and 108 were converted as a response to losses incurred in pursuits when the point tanks of the column were destroyed by frontal hits. Great photos, thanks for posting. Interesting variations. May encourage me to get those Airfix kits finished with some added plates, they will look different. They are still in bags from my 20mm buying splurge some years ago! Have you got some spare Airfix Panthers to cut the extra plates from? Thick card or plastic would be better. "The man who has no sense of history, is like a man who has no ears or eyes"
"Good health is merely the slowest possible rate at which one can die." The version I heard was that the commander felt it was a 'lucky' tank as he always seemed to be able to accelerate out of trouble. It was a bit 'nippier' than others and he never understood why. Then he finally gets hit by sthg which should have been relatively innocuous (50mm at range?) and is disconcerted when it part penetrates and is stuck in the glacis plate. He takes it back to resupply and then finds that it's made from mild steel. 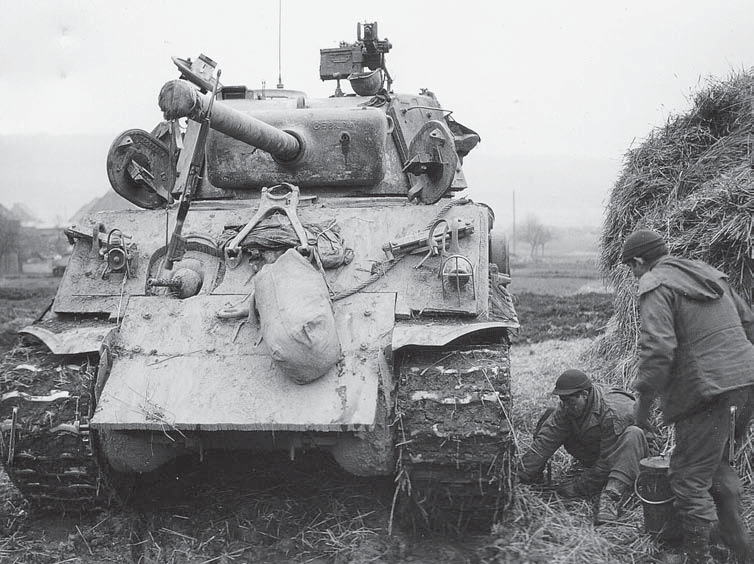 He then (supposedly) refuses a replacement on the basis that it clearly is a lucky tank, having come all the way from Normandy without being wrecked. Anyway are additional tracks/logs so useless as ad hoc armour (and therefore worth any potential morale effects as noted by Richard )? It seems to me that they ought to be quite disruptive to the effects of HEAT rounds, given the lower velocity strike and relative importance of the impact angle. And even against rounds which rely on kinetic energy, the strength of a track link (are they not very tough?) plus its uneven shape would have a deflective effect on the angle of impact of the shell and consequent dissipation of its energy? Anyone out there with a chemistry/physics degree majoring in metal characteristics? Yes I know. It was a joke.